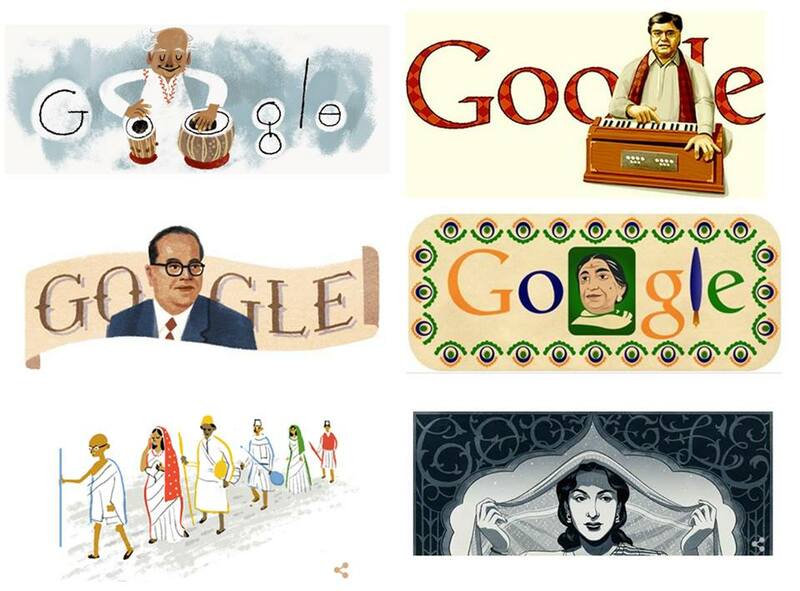 Google India doodles are unintelligent, badly drawn and stupid lip-service most of the time. If you dispute that statement, I would present the doodle where Jagjit Singh looked like the body double of the cross between the pre-surgery Adnan Sami and the post-surgery Amol Palekar, and it would haunt you all your life. Or I would showcase Sarojini Naidu with the body of a pigeon, surrounded by evil eyes. Or I would reveal a very very constipated Dr. Ambedkar to you, enough to impact your constitution. Or I would tell you the story of Nargis who went to the sets of Mughal-E-Azam and got a photo session done in Madhubala’s Anarkali costume when nobody was watching. Or I would unmask Ustad Alla Rakha Khan with the Chucky smile. Or I would flaunt Gandhi ji’s Dandi March drawn by the Chairman’s daughter, with the woman right behind him carrying a giant heart purchased from Archie’s gallery. As if these were not assault on our senses already, now they are not even researching the doodles right. The Husain doodle released on 17th September to commemorate the 100th year of the painter is accompanied by these bold dots spelling Google, as is typical of all such doodles. Which is all very sweet and giggly-googly, till you figure that it was SH Raza – another doyen of Indian Art – who has had the bindu as his leitmotif, and that Husain had nothing to do with them. One does not expect the Google guys to go technical on Husain’s color palette or brush strokes, but if you are attempting a tribute, at least get the basics right. Attaching Exhibit A and Exhibit B. And if you think I am over-reacting, I would recommend a google search. If you had picked the Holi 2015 Google Doodle you’d have seen my face right now. With my exploded brain in the background.